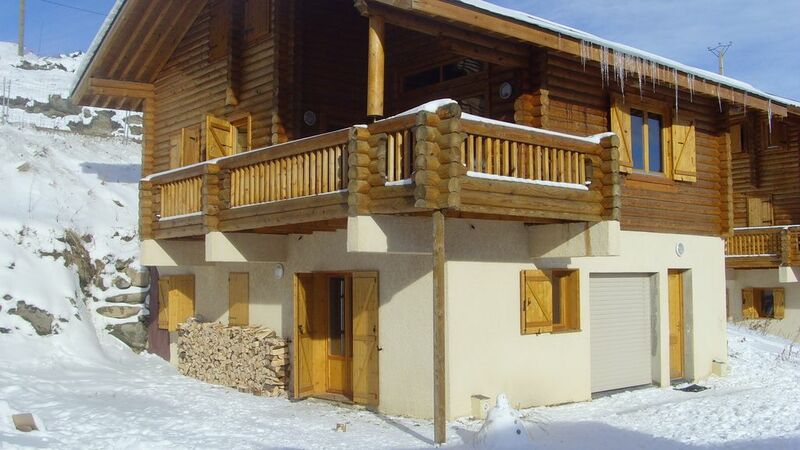 Chalet located at the foot slopes of a family resort, friendly, off the ski factories. You'll enjoy the quiet, tranquility related to this ski area named 'The Cambre d'Aze' on two towns in the Pyrénées Orientales, St Pierre dels Forcats and Eyne. This cottage offers all the expected comfort. It is a chalet on 3 levels can be divided into 2 separate apartments for the same family can each have their apartments or 2 separate families can use. On the garden you have type 2 apartment with 1 bedroom, 1 bathroom, 1 kitchen with 1 living room with a sofa bed for adding 2 beds. Everything is fully equipped (broadband WiFi, oven, fridge, hob, microwave, kettle, toaster, coffee maker etc ....) You have access outdoors by a bay where you have a breathtaking view of the slopes. In winter and with good sun is the ideal place to have breakfast. Upstairs you have a large living room with kitchen and equipped with everything needed to cook and breakfast. Table, benches and chairs in oak for up to 12 people. On the same floor you have a large bathroom with toilet and a large room with a huge very nice terrace in good weather. From here a wooden staircase, like everyone chalet you méne to the loft with 2 bedrooms with a bathroom and toilet. All this in the very special atmosphere of a log cottage, completely charming. You will find the warmth of wood especially as the heating is electric but you also have a frying pan type 'Invecta' that will ensure you a very pleasant permanent heat with very little consumption. So possibility of renting the 2 part T2 on the ground floor (maximum 4 persons), T4 upstairs with loft (sleeps 6 + 2 cribs) or all which ensures maximum from 10 to 12 beds. Of course I am at your disposal for any additional information. Très beau logement confortable et bien entretenu. Très beau logement au sein d'un panorama de montagne. La région est réputée pour son climat ressourçant, la qualité exceptionnelle de son air, et son ensoleillement de 300 jours par an. Un magnifique chalet rondin, confortable et bien équipé. A recommander !